The continued interest in intersectionality can be seen as a positive sign that feminist-inspired scholarship still has something significant to offer, and that its political dimension lives on. In management and organization studies, Intersectionality has been seized either as a theoretical lens or methodological approach in a number of literature strands, in both conceptual and empirical work. Yet, it would be too hasty to conclude that intersectionality is the answer to all ills, or the panacea that can replace the use of the ‘f-word’ altogether. 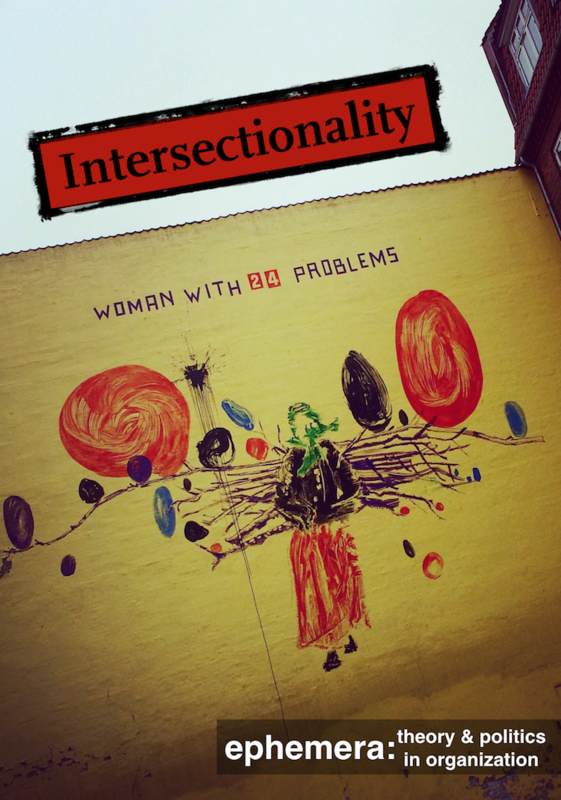 This special issue addresses a number of tensions and contention points in intersectionality research. We formulate them as follows: i. a tension between seeing intersectionality as a bounded vs. polymorphous concept; ii. a tension between intersections as stable vs. fluid; iii. a tension between intersectional thinking as a tool to apprehend embodied experiences vs. as a possible limitation to a universal democratic and emancipatory project. The aim of our special issue is thus not to take sides in these ongoing discussions, but rather to see what intersectionality can ‘do’ for organization studies at large. Authors in this special issue address, at times passionately, one or the other side of these arguments.